The West Coast dockworkers’ contract expired last July. Months of negotiations have devolved into epic work slowdowns and, most recently, threats of a lockout. This week, U.S. Labor Secretary Tom Perez arrived in San Francisco to meet with both sides in the conflict. With no resolution, Japanese dairy importers are reporting delays of up to two months on U.S. shipments due to port congestion. It is a bad situation for any exporter—and especially bad for U.S. dairy, because it reinforces negative impressions some overseas buyers have of U.S. logistics capabilities. According to interviews for a recent USDEC research study, “Export Supply Chain and Logistics Management,” overseas trade contacts say that for some U.S. suppliers’ delivery times are longer than competitors, costs are higher and packaging is weaker and often unsuitable to long-distance transit and harsh temperature conditions in destination markets. While U.S. suppliers can have little direct impact on the West Coast contract impasse, they can take action to develop a faster, more flexible, more responsive export supply chain (ESC) to address such criticisms, enhance their competitiveness and solidify customer relationships. The starting point is to look at the ESC holistically. Too often, shipping takes place in an operational vacuum. Dairy suppliers often take a reactive approach to logistics instead of understanding it in the context of the overall business relationship with the customer. The ESC is an entire value chain—a network of manufacturers, warehouses, logistics service providers, distribution centers and retailers—and failing one part of that chain affects its entirety. A reactive approach fosters uncertainties and knowledge gaps. For example, shipping costs can be high, and the expenses related to damage, delays and demurrage are not always readily visible. Unless a company identifies and monitors such costs and other key performance indicators, the process can be easily mismanaged. 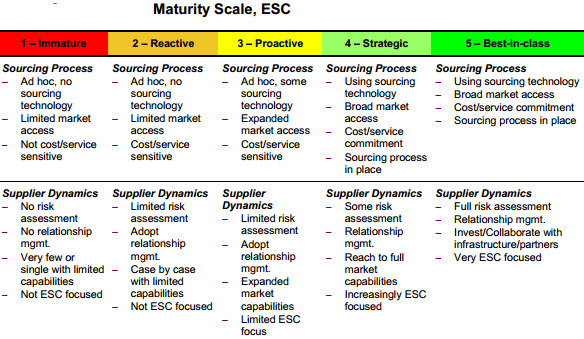 Companies that view the ESC as a strategic asset can turn it into a competitive differentiator. Research studies cited in the report show that supply chain leaders enjoy average EBIT (earnings before interest and taxes) margins more than twice as high as less proactive supply chain managers. Assessing an ESC begins by benchmarking against industry best practices. On the manufacturing side, ESC best practices mean fewer sites, efficient storage, close proximity to rail access and optimized manufacturing and packaging practices. At the origin warehouse, top practitioners have invested in logistics infrastructure, optimized warehousing and packaging practices, utilize third party logistics, load containers at the warehouse and minimize touch points from grading to ship side. In terms of transit/logistics, the top of the class have efficient, export-oriented ports, work with ESC service providers, partner with allied sectors and have strategies in place to minimize damage. And in the destination market, you can add value by offering offshore inventory management. Suppliers face a number of challenges to achieve such benchmarks, some of which are out of their control. Geography is a major factor in U.S. dairy ESC efficiency, for example. 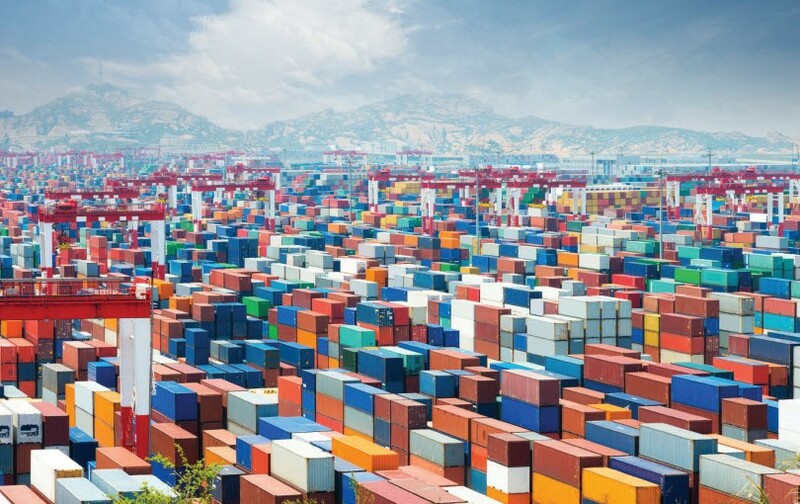 California has a competitive advantage in shipping to Asia, while Midwest suppliers face greater complications to destinations outside of the Americas. Limitations like over-the-road truck weight restrictions and other regulatory constraints, resource shortages (chassis, drivers, containers), volatile shipping volumes and carrier rates are mostly outside the control of U.S. dairy suppliers. On the other hand, there are opportunities to improve. In terms of rates, industry competition among carriers is high, economic conditions have created excess capacity, and smaller carriers are pricing aggressively to secure business. Even some of those challenges that seem systemic are showing signs of easing. When engineers complete the largest expansion project in the history of the Panama Canal (expected in 2016), East Coast ports will grow much more price competitive with the West Coast, and any U.S. supplier located near the Mississippi River will see a major boost in supply chain efficiency. In addition, some U.S. companies already excel at managing a modern and effective ESC and others are clearly improving. U.S. dairy suppliers have taken great strides in shifting into an export mindset in recent years: manufacturing products to the specs of foreign markets, investing in personnel dedicated to servicing overseas buyers and maintaining a consistent presence on the world stage even when market conditions turn less favorable. Excellence in managing the ESC is another step in that direction and one that cannot be considered optional. U.S. suppliers’ reputations and customer relationships are at stake. Companies with lax supply chain management who frequently experience damaged product and extended delivery times can negate investments in manufacturing and marketing that were made specifically to meet the needs of global buyers. Upgrading ESC capabilities improves the supplier value proposition and business relationships, improves efficiency and profitability, and improves adaptability and responsiveness.